A new project to assess to feasibility of using Google Glass to provide doctors with hands-free access to clinical information looks to have passed its first hurdle. Now a joint Philips-Accenture study of the smart-glasses technology has outlined how doctors could simultaneously monitor a patient's vital signs and react to surgical procedural developments without having to turn away from the patient or procedure. The partners say their 'proof of concept' project also opens up the possibility of doctors monitoring a patient's vital signs remotely or enlisting assistance from doctors in other locations. Still not commercially available, or even fully tested, bringing Google Glass to the operating theatre suggests a number of exciting possibilities, particularly when apps come online for the wearable computer. “We live in a world where being nimble is key and industry-altering ideas need to be converted to practical solutions that people can use,” said Michael Mancuso, CEO, patient care and clinical informatics at Philips Healthcare. 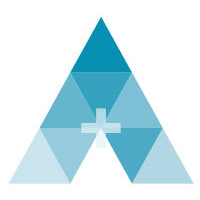 The project saw Google Glass connected to Philips IntelliVue Solutions, which forms a key part of the technology firm's healthcare offering. Keen to expand healthcare interests that more commonly focus on imaging and homecare technology, Philips has partnered with Accenture Technology Labs on a Digital Accelerator Lab. One of the new Lab's aims is to explore the potential use of Google Glass in clinical settings and opportunities to seamlessly integrate the smart-glasses with Philips's healthcare solutions. Paul Daugherty, chief technology officer at Accenture, said: “Accenture's work with Philips showcases a powerful use of wearable devices in the healthcare industry, helping physicians perform their jobs more effectively and enhancing care for patients. 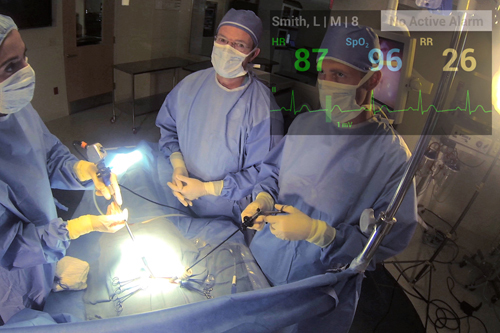 Future research topics for the Lab could see it investigate Google Glass' potential for: calling up images and other patient data by clinicians from anywhere in the hospital; giving clinicians the ability to view the patient in the recovery room after surgery; recording surgeries from a first-person point-of-view for training purposes.